It’s been a little while since I did one of these, but there have been some FANTASTIC covers recently that I just have to gush over. This one was just revealed today, and oh my God I’m in love. It’s gorgeous! It’s also thoroughly eerie and creepy, and inviting and intriguing and everything you want a book cover to be. The blues are soft and mysterious, colors of secrets and sadness and somehow also calm and deep, like the bottom of a lake. The key, because it’s bright and a very different color than the rest of the background, stands out, but it’s not just a symbol of secrets- keys are also authority and things that should be kept away, and also things that are about to emerge. Funny thing about keys is that they have a way of getting used. The girl’s face emerges from the smoke and fog of the key, like she’s shrouded in mystery, like her entire life is birthed from the mysteries of that key and everything it can stand for. Behind her stretches walls with what looks like names- which calls to mind the Vietnam Memorial and it’s lists of the dead- but the walls also seem to close in behind her, both protective and claustrophobic. This is a cover I could happily study for hours at a time, and it leads so beautifully into the description. 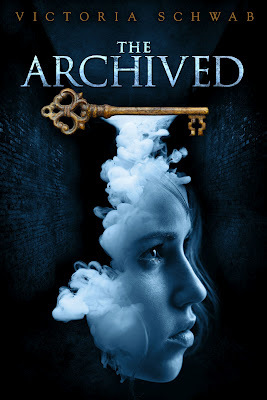 The Archived by Victoria Schwab- can’t wait. I love Rick Riordan covers. The artwork is fantastic and if I’m honest, I love the fact that he’s the only author I know that can successfully get pre-adolescent and adolescent boys to read books with pink covers. Throne of Fire anyone? 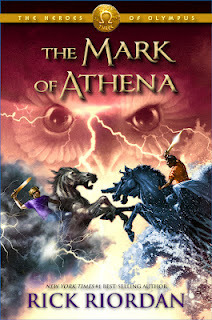 And now he’s released the cover for Mark of Athena and I love it like cake (even though I hate the color pink). Obviously the most immediately striking things about the cover is the owl’s face, specifically its eyes. They’re piercing and direct, and being the totem of Athena, and given that Athena isn’t too fond of Percy, it’s hard to tell if that’s meant to be menacing or protective. Then your eye goes down and you notice the two boys on horses apparently about to kill each other. Um…problem? Even there it’s distinct, with different shirts, different hair colors, even different types of magical horses. You really want to hope the boys are actually working together against a common enemy, but…well, the Greeks and Romans don’t really get along, do they? Expect LOTS of conflict in this one, especially as it’s the middle book of the series. fiercest elements of the story. Code Name Verity by Elizabeth Wein. 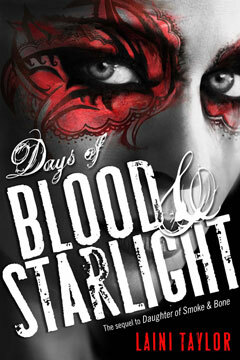 Another recent cover reveal was for Laini Taylor’s Days of Blood and Starlight, sequel to last year’s Daughter of Smoke and Bone. It closely parallels the original cover, focusing on the eyes and the space around it. The mask- in this case the patterns painted around them- are striking and draw the attention in on an otherwise grey-scale cover. The first cover was blue- relaxing, bright, reminscent of Karou’s hair and her easy manner- but here the focus has shifted. Here we have flames and blood and the deep menace associated with that color, BUT, if you look through the letters, you can also see just a slight hint of a smile. Not much of one, and not a very nice smile, but it’s there, and it makes you remember that red is also a color of seduction and of passion. They’re exotic markings, and it’s only when comparing it to the first cover (and the first story) that you start to wonder if they’re actually painted on or if they’re somehow more inherent than that. Any covers that you’re looking forward to?